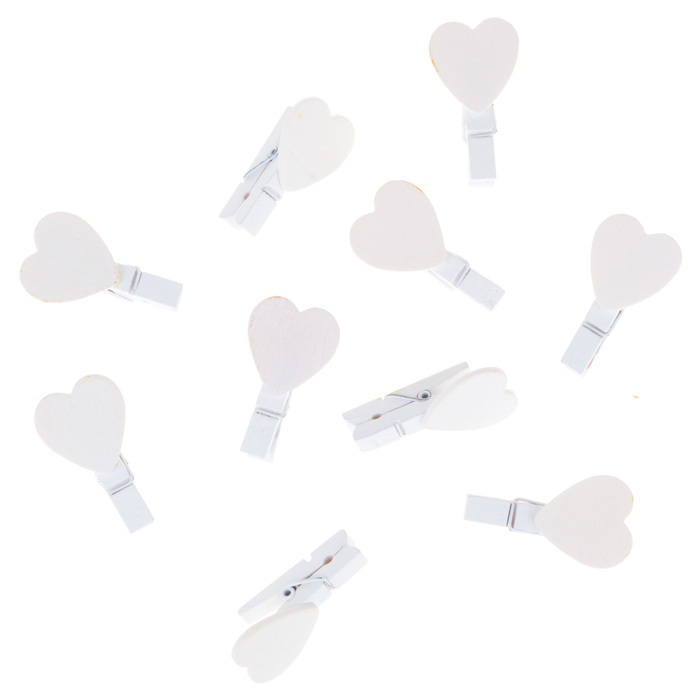 Adorable little heart shaped wooden pegs, the perfect finishing touch to seal a party bag or wedding favour, or just to hold a tag onto a gift. 1 white wooden heart peg supplied. 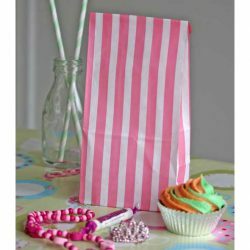 A great way to start a party, have your guests create their own party bag, then maybe have a treasure hunt so they can fill the bags up! These sealife kits are great for an under the sea, beach or mermaid party. 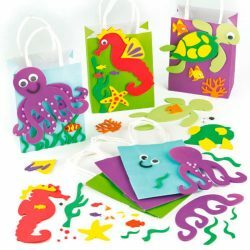 Each pack contains 3 coloured bags, precut foam shapes, wiggle eyes and decorations. 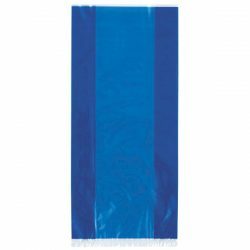 Royal blue cello bags, perfect for filling with sweets and treats. 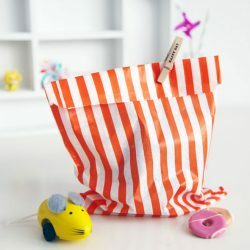 Orange striped paper bags are just the right size for a few treats and a piece of cake. Ideal for Halloween parties. 10 orange striped paper bags supplied, 7 x 9 inches. 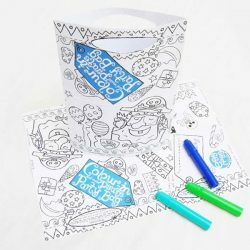 Get the party off to a great start by having the guests colour in their own party bag while you wait for everyone else to arrive. You could make it into a big activity by adding some stickers to decorate them with, then why not have a treasure hunt to fill them ready to take home at the end of the party. Pack of 6 pirate party bags.